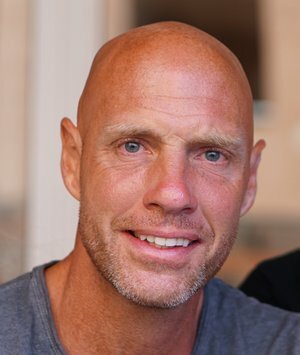 Professor Willem Mulder was awarded a Consolidator Grant of €2.75 million by the European Research Council (ERC) for his research on cancer immunotherapy, an innovative cancer treatment based on empowering the human body's natural defenses. The awarded proposal focuses on the application of nanotechnology to current immunotherapy treatments, which show limited therapeutic power and serious adverse effects. Mulder will use the funds to solidify his recently established Precision Medicine group, at the TU/e Biomedical Engineering Department. Cancer cells exhibit the capacity to evade recognition —and subsequent destruction— by the immune system through the activation of certain inhibitory molecular pathways, known as immune checkpoints. These immune checkpoints can be blocked by therapeutic drugs . Mulder: “These drugs take the brake off the immune system and empower certain immune cells to fight the cancer. However, such drugs are effective in a subset of patients only and can cause severe immune-related adverse effects.” With his research, professor Mulder is planning to diversify and improve checkpoint blockade immunotherapy using highly innovative nanobiologic treatments, as the one described in a recent publication in the prestigious journal Immunity. Specifically, prof. Mulder is planning to develop and apply nanobiologics that can 'train' the immune system's susceptibility to checkpoint blockade therapy while blocking adverse immune responses. 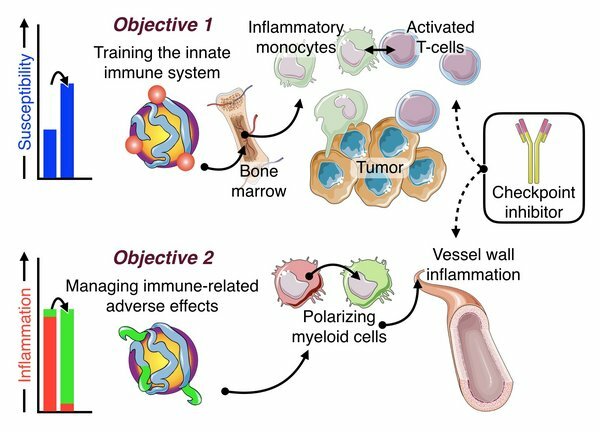 Objectives of the CHECKPOINT NANO project: to train the immune system’s susceptibility to checkpoint blockade therapy (Objective 1); to manage checkpoint-inhibitor drugs’ immune-related adverse effects (Objective 2). Mulder is establishing a Precision Medicine group at TU/e with the “overarching goal to institutionalize nanotechnologies for precision immunotherapy and immuno-imaging”. Besides making precision medicine available to patients, he strives to develop a unique ‘research ecosystem’ that spans from his research group at the Icahn School of Medicine at Mount Sinai in New York to Eindhoven University of Technology and many collaborators. In Mulder’s view, this research network will facilitate innovation and serves as a unique training environment for the next generation biomedical engineers. Roy van der Meel will be appointed assistant professor at the Precision Medicine group in January 2019. Mulder: “Van der Meel will help institutionalize the research group and boost its visibility in Eindhoven. Together, we are also in the process of recruiting postdocs and PhD students and we encourage potential candidates to get in touch with us”. The new group will also collaborate with, amongst others, professor Maarten Merkx from the Biomedical Engineering Department of TU/e and professor Mihai Netea from the Radboud UMC. The ERC’s mission is to encourage the highest quality research in Europe through competitive funding and to support frontier research across all fields, on the basis of scientific excellence. ERC grants allow Europe's brightest minds to identify new opportunities and directions in any field of research, and catalyze new and unpredictable scientific and technological discoveries. Consolidator Grants have yearly calls are meant for researchers of any nationality with 7 to 12 years of experience after the completion of their PhD. Interested in the work of Prof. Mulder? Read more at this link.